MUFF WIGGLER :: View topic - where to hear live ambient music in SF Bay Area? where to hear live ambient music in SF Bay Area? Doesn't have to be modular but that would be cool too.. There's got to b something? Today, actually, in San Jose, there is a stage of almost all modular, some ambient, at SubZero. r beny, James Cigler, Rodent, and many others are playing. Oops, I didn't realize this posted nothing instead of a link to the Gray Area Theatre, in the mission, SF, which regularly hosts local and international artists to play on the 8 channel surround system, often enough, these performances would easily be termed ambient, though different strains could be found, in general, a very ambient glamour seems to preside. Playing there as scy1e on Saturday, opening for Jan Jelinek! I have some performances coming up. I'll be playing at Robotspeak this Saturday, 3pm. Will be a mix of modular and Electribe 2. Anyone in San Jose should come check out Binary Society. It is a monthly synth meetup with performances and lectures, though performances have been the focus lately. Most of the performers have been modular people. James Cigler, Ron Millar and Bryce Recordon played the most recent one 2 weeks ago. It's usually held at AFK Gamer Lounge in downtown San Jose, currently on the last Sunday of each month. Nathan Moody aka noisejockey is on the bill and I highly recommend making it out. 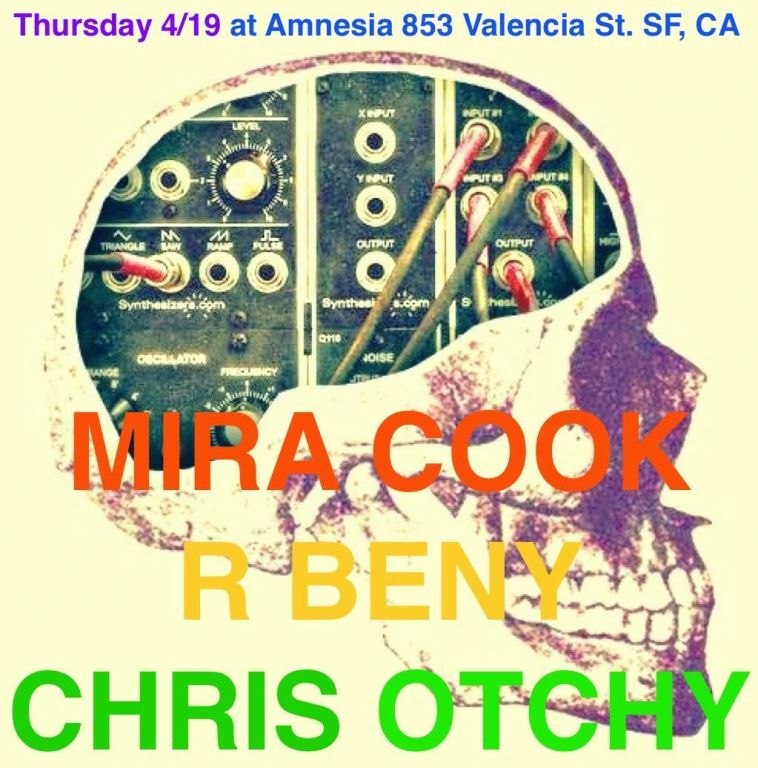 I have gotten the go ahead for a monthly gig, Synthestesia at Amnesia on Valencia St.
Oops, I was on vacation. I should check out luggage store. 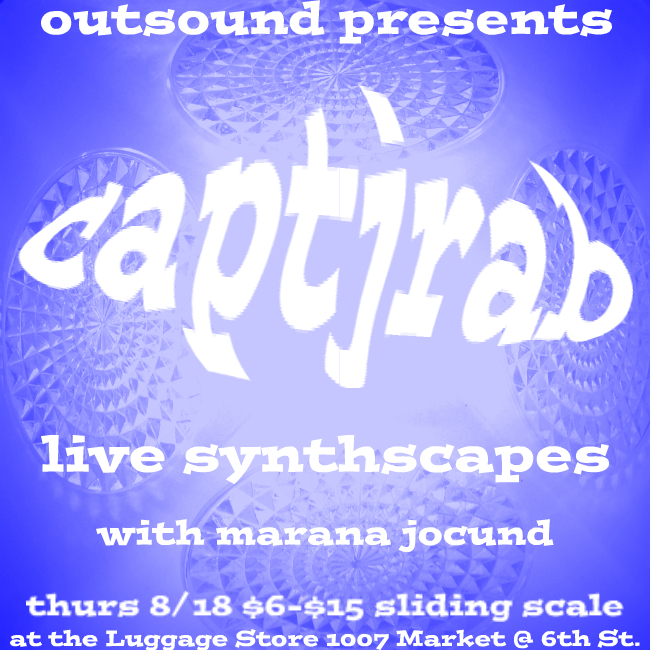 The Outsound/Luggage Store series is part of the Bay Area Improvisers scene. PM me if u want booking info. Very cool, captjrab. Will try to make it out for that! Cool. Hope you can make it. Playing at ATA this Saturday, 8:00. Glad this post is keeping the bay area love alive. Id be going for sure but have another event already planned. sorry for the late notice - but, starting toorrow, 2nd and 4th tuesdays will be having live experimental music (sometimes ambient, depending on your interpretation, I suppose) at Darger Bar on 16th and Harrrison. I am playing tomorrow, Scy1e, as well as my buddy A Magic Whistle. Oooh go see Scy1e, you won't regret it! An artist and a gentleman, that one. Check out the tag #theresfreq on Instagram to find pics and videos from past shows. This Thursday evening, Apr 19, 2018, some live ambient jams will be performed by myself and r beny in support of singer-songwriter-loop wizard Mira Cook, in town from NYC. At Amnesia in the Mission, SF. Show starts around 9pm.